Thanks CEP for the great product. I gave these out an my annual giveaway and it was a nice way to get my brand out there. I love how I was able to get my companies slogan imprinted onto this bamboo USB to help promote our business. Thanks so much Custom Earth Promos. These bamboo lanyards were perfect. The designs came out amazing. This company is overly reliable and devoted to customer satisfaction. Love working with Custom Earth Promos. Thank you CEP. Who would have thought? An organic flash drive. I love the premise behind this item, and I'm placing my order now. An reliable company to do business with. I received a quality item, and received it earlier than I could have ever expected. I wasn't sure if I was really going to like the look of the wood lanyard. I had Custom Earth Promos send me a sample. Its a great way to see what you are actually getting. I liked the look and purchased 1,000. Going green has been made easy by purchasing these Eco-friendly USB drives with organic lanyards. If your looking for a great discount, order form Custom Earth Promos in bulk. I couldn't believed the significant savings I received by doing so. These organic lanyards and Eco-friendly USB drives have been a great way to initiate conversation with potential clients. It shows we are earth-conscious and serious about our business. Custom Earth Promos provides quality products at great prices. Such a useful, earth-conscience way to get your clients to notice you. 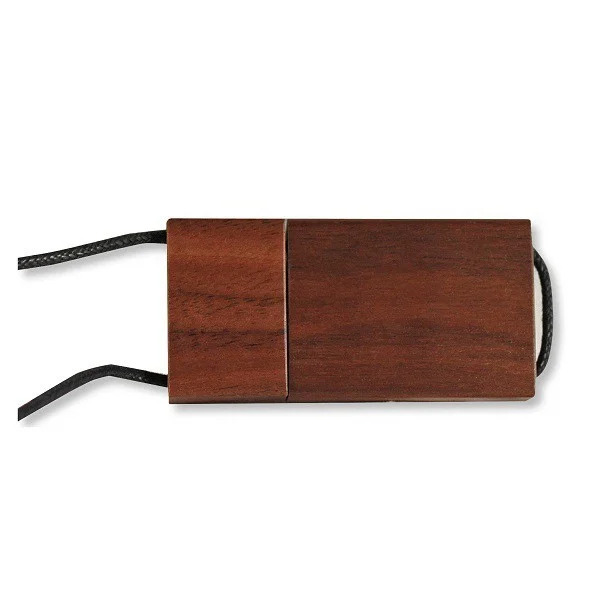 I have used the Eco timber lanyards USB drives for my marketing campaign. Using them has really paid off. Looking to bring some organic Eco-friendly awareness to the office building, well purchase these USB drives and you've succeeded in doing just that. 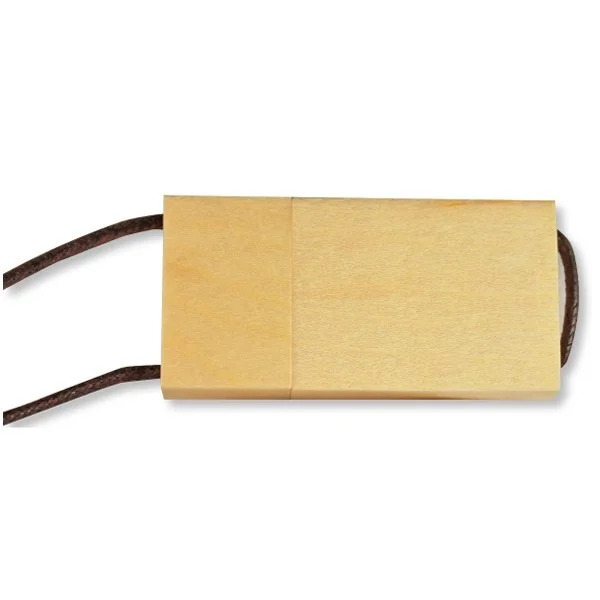 Turn heads with our unique Bamboo Lanyard USB Flash Drives. Take this remarkable opportunity to enhance your marketing strategy by printing your desired logo onto the wood of your choice. Sealed by the option of various wood materials, the USB flash drive provides reliable data storage that is bound to impress any consumer. 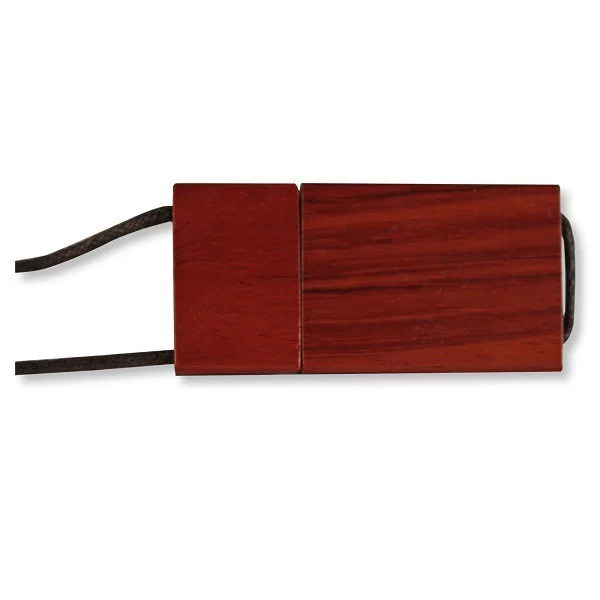 Store your documents within an eco-friendly outer wood coat to essentially have the most desirable flash drive in the game all while reminding consumers of your memorable company! Join the next ingenious movement branding revolution with our organic Bamboo Lanyard USB Flash Drives! The choices are endless as to how you can design your own portable database. Choose from an endless color scheme options through a PMS color chart or simply share your specific logo with us for an exact replication. 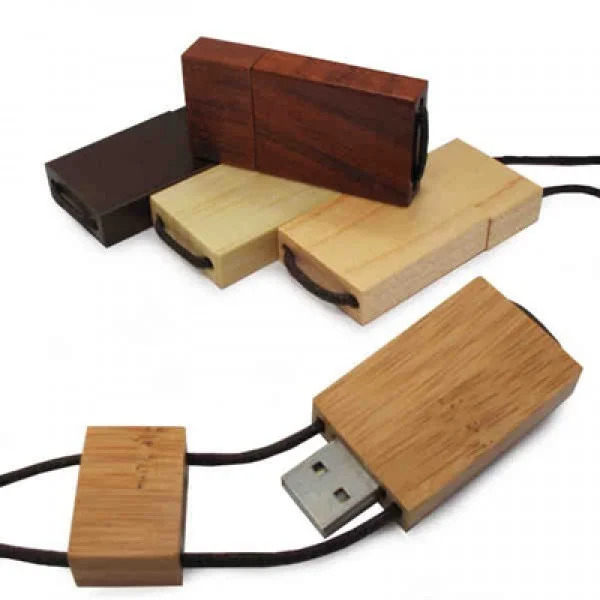 Each flash drive has the option of production from any of the four organic wood materials including Bamboo, Maple, Rosewood, and Walnut. You will, without a doubt, stand out to your targeted consumer audience at your next trade show or business fair! 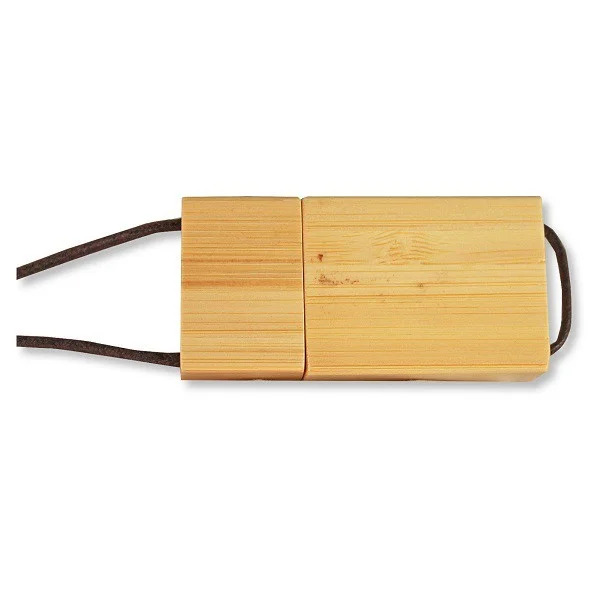 Enhanced with our customizing options, the Bamboo Lanyard USB Flash Drive is the answer to your promotional needs. Each drive is equipped with a Tier 1 chip to maximize reliability and durability in saving and transferring important data files for all your data transportation demands. Be sure to keep in mind that once you order your customized flash drive, it can take up to three weeks for the delivery to arrive. If you have any questions or concerns, please feel free to contact us at any time!